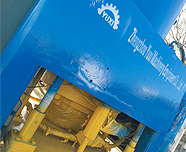 We adopt the most advanced Italy technology, and the equipment can be customized according to your requirements. 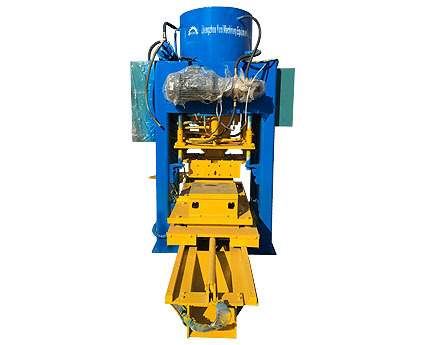 If you have any questions, please contact us!● By changing the mold, YX-400 Floor Tile Making Machine can produce many sizes of terrazzo tiles, product thickness and weight can be adjusted by adjusting the quantitative cup. ● High degree of automation, simple operation. It just need 2-3 persons to operate the complete equipment, and the production is 3000 pcs/shift. 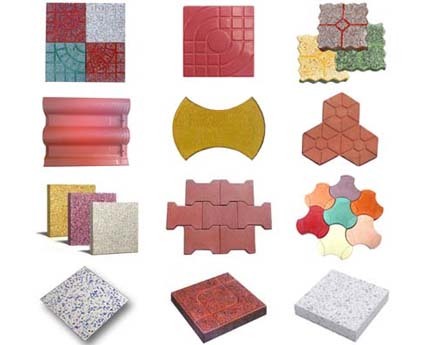 Provide Customized Production According To Customers' DemandColor terrazzo tiles and cement roof tiles, products of Yuxi-400 Floor Tile Making Machine, with various patterns, pattern clear lines, color variety. 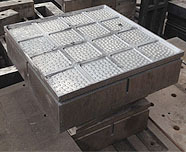 Mainly used for laying city sidewalks, square ground, indoor ground, etc. 1.The floor tile is featured by diversiform pictures, vivid flower pattern, various colors, etc. 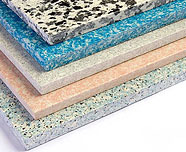 It can also replace the granite tile and marble tile, also can be considered as the optimal ground surface materials. 2.The raw material is cement, stone dust and gravel, which is very cheap and easy to find. Adopt Cr12 and other special mould steel materials. Through forging, milling, cutting, grinding, carving and quenching, the mould has high accuracy, strength and abrasion resistance, wear well without any distortion. 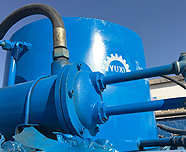 The hydraulic pump is characterized by small size, high efficiency, long life, advanced design, compact structure and easy maintenance. 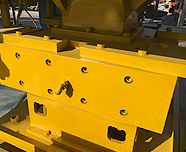 Hydraulic cylinder is clevis mounted, and exceeds the highest standards. 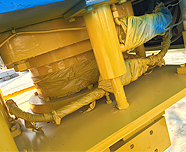 These cylinders are designed for demanding applications and are built to ensure maximum reliability and performance. 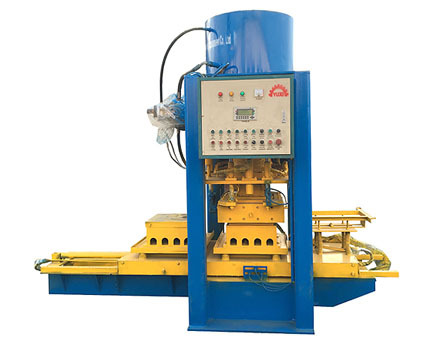 All of the parts of floor tile making machine are precision finishing, adopting cast steels and other high quality steels, high compression strength, high resistance to deformation with stable performance, firm & durable. Computer control & human-machine interface. 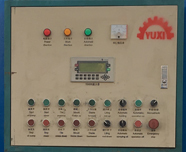 Controlling system adopts Japanese Mitsubishi or Taiwan Taida PLC system, integrate mechanical and electrical, hydraulic pressure and pneumatic, make the whole system high automation degree and easy operation. Dimension precision, high strength and density, low broken rate.